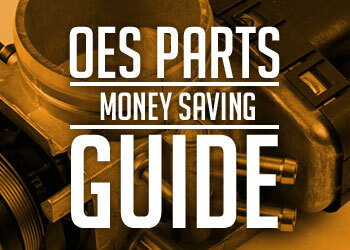 eEuroparts.com® features a wide selection of quality Volvo Parts. Since 2000, we have specialized in stocking original equipment manufacturer OEM Volvo Parts and a broad selection of aftermarket Volvo Parts . Our easy-to-use online catalog allows you to quick browse for along with any other part you mean need for your Swedish or German car. Don't see what you're looking for here? Try selecting your vehicle from our easy-to-use Volvo Parts vehicle selector or select your Volvo Parts model below. Enjoy browsing through our huge warehouse of genuine, OEM, and aftermarket Volvo Parts. Since 2000, eEuroparts.com has been selling the highest quality Volvo parts online, and our Volvo parts catalog now features a massive selection from the top manufacturers in the industry. We've made it a priority to expand our Volvo auto parts inventory to cover anything you might need, from Volvo interior parts to subframe mounts. Whether you’re looking to upgrade Volvo 850 parts for your timeless daily driver or for replacement Volvo S60 parts or S40 parts for your 21st -century compact sedan, no matter the model you own eEuroparts.com carries the Volvo parts you need to keep your car running in top condition. Volvo has a reputation for manufacturing safe, reliable cars. In fact, it's been said that these vehicles are built stronger than tanks. Whether or not this is actually true, Volvos are indeed known throughout the world as being one of the safest, most secure automobiles you can drive. Whether you own a Volvo, or have ever been a passenger in one, it's likely you'll agree. In 1927, the first Volvo to roll off the assembly line in Hisingen, Sweden was specifically designed to withstand Sweden's icy conditions and jagged roads. Over 90 years later, they are still producing cars and quality Volvo parts that can both endure the harshest environments and improve safety response and collision outcomes. Vehicle safety-focused inventions include interior Volvo parts like the three-point seatbelt in 1959, the seatbelt reminder in 1972, and then the side impact protection system in 1991. These seatbelt features are now found in virtually every modern car. Continuing their leadership in safety-focused Volvo parts, the automaker invented a whiplash protection system and a curtain airbag in 1998. Volvo also invented the rear-facing child seat, and now offers booster seats built into the rear seats. Today, Volvo's focus continues to remain on safety. New vehicle additions include ingenious computer-driven Volvo parts such as the new roll-over protection system, a blind spot information system, a city-safety autonomous emergency braking system, and a pedestrian detection system with automatic braking. In 2008, Volvo unveiled the Vision 2020 program; which pledged that by 2020 their automobiles would prevent any fatalities in a new Volvo when involved in an accident. If you're looking for the safest vehicle for both yourself and your family, look no further than Volvo. Volvo is also becoming a front-runner in green technology. The company is developing an all-electric vehicles (EV) with a range of over 200 miles by 2019. It has already produced hybrid cars – with Drive-E engines and their corresponding Volvo parts – that not only save fuel, but also have a modular design so both petrol and diesel units can be adapted, such as the V60 plug-in hybrid. Although Volvos are exceptional running machines built for safety and reliability, like any automobile they need maintenance work and the occasional repair of Volvo car parts. 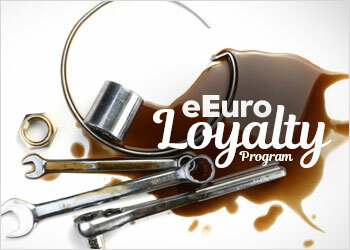 That's where eEuroparts.com can help. 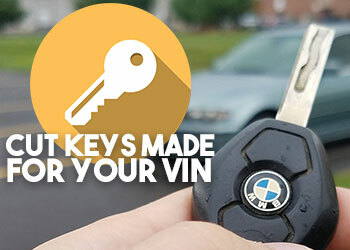 We have designed our site to make shopping for and buying Volvo parts online a fast and easy experience. To begin your search, use our vehicle selector at the top of every page to filter your Volvo auto parts results. Let's say you have a 2004 Volvo XC90 AWD SUV. Simply select that year/model/vehicle using the drop-down menus, ensuring that you’re only shown XC90 parts that fit your specific car. You can also search for Volvo parts online using keywords or Volvo part numbers, or browse by category by selecting an icon under Shop by Category at the top of the page; such as engine parts, transmission, brakes, electrical parts and more. eEuroparts.com is the leading destination to find any Volvo car parts you need to always keep your vehicle running in top condition. We often carry multiple versions of the same Volvo spare parts, so even if you search by part number you may see multiple results. We do this so you can choose between different options based on your budget and criteria. Whether you're looking to save money on standard Volvo spare parts, or you want to upgrade your Volvo's power, speed, or handling with top-of-the-line performance Volvo parts, eEuroparts.com offers a wide variety in order to match what you're looking for. As we mentioned earlier, eEuroparts.com has been expanding our selection of Volvo car parts; including Volvo spare parts and Volvo replacement parts, but we’re never finished. If you can't find the Volvo parts online that you're trying to track down, please let us know and we can special order what you need. Call our knowledgeable customer service experts at 1-800-467-9769, or email us here. Our Volvo parts catalog is growing every day, and we add hundreds of new Volvo parts every week. With eEuroparts.com, buying Volvo parts online is easier, faster, and a better value than buying parts from a brick and mortar store. We have built and maintained direct relationships with leading Volvo parts suppliers and manufacturers for nearly 20 years, which means we can buy Volvo parts for less, and pass the savings on to you. We ensure accuracy, reliability, and speed on every order you place with us. Contact us today, and let us know what we can do for you.